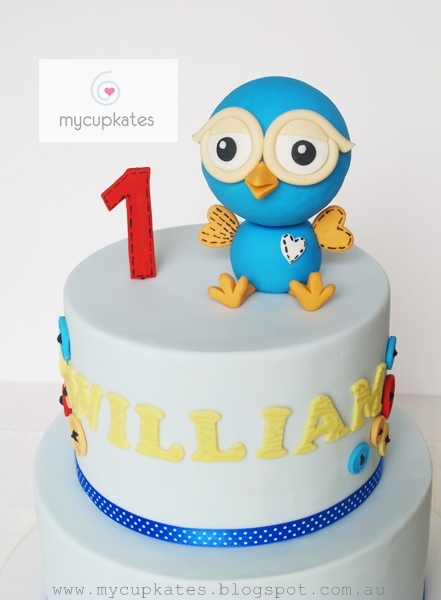 I made this cakes a few months ago for William's very 1st birthday. I was so thankful for William's parents who came after such a long driving. I'm so glad that Summer has passed. 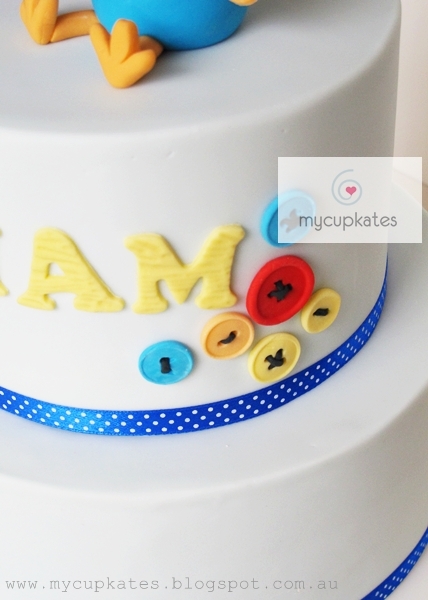 Hot weather & extreme heat have been a big trouble for working on fondant & ganache. when I start making sugar figurines. She knows she would get in troubles if she touches mommy's fondant so she just walks around my bench and check every move I make while I'm working on figurines. Seeing my child being happy and smiling is the best feeling I've never experienced before. I think all parents in the world feel the same..
Hi, how much would this cake be just for the top half? It looks quite large as a two tier cake. I only need to feed about 25people but think this cake is gorgeous! 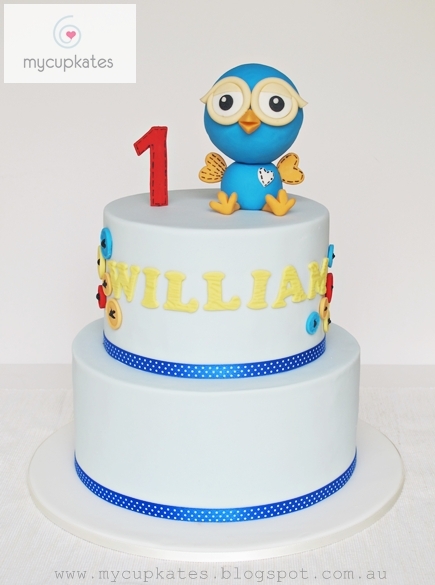 My son would love it or the other hoot one you have on your fb page that was done for connah. Can you please also let me know the price of that one asap. Could you please let me know how much this cake would cost for 60-70 people? Please reply to amir.rahat at gmail dot com.